If you haven’t heard of PNC Mortgage before, you probably will in the near future. They’re a rapidly growing depository bank and mortgage lender with 2,600 branches across 19 states nationwide. PNC is also one of the top 10 largest banks in the United States based on total assets. However, most of their retail operations tend to be in the Midwest and Northeast regions of the country. But you can still apply for a home loan with the company from just about anywhere in the United States because they let you apply online, by phone, or in person at a branch. Let’s learn more about PNC to see if they should be included in your home loan search. The history of PNC Bank can be traced all the way back to the mid-1800s, though it’s unclear when they first began offering mortgages on residential properties. But one thing is certain – they’ve been around a while and look to be growing larger as time goes on, especially in the home lending space. One major catalyst in their growth story had to do with their timely acquisition of National City Mortgage, which was a major home loan lender until the housing crisis hit in the early 2000s. PNC Mortgage basically reinvented itself with the merger thanks to National City’s large mortgage presence. They were a top-10 mortgage lender up until the crisis. However, PNC has yet to crack the top-10 lender list themselves, though it’s probably a matter of time if they continue on the same course. What Does PNC Mortgage Offer? PNC Mortgage offers a variety of home loan programs, including typical fixed-rate options like the popular 30-year fixed and 15-year fixed. Additionally, you can get your hands on three different types of ARMs, including a 5/1 ARM, 7/1 ARM, and a 10/1 ARM. If you happen to live in a more expensive region of the country, or have plans to buy a mega-mansion, know that they accept jumbo loan amounts up to $5 million. This should satisfy most borrowers out there. Conventional loan options aside, they offer government home loans as well, including FHA loans and VA loans. Both government loan options come in 30-year fixed and 5/1 ARM varieties. All three include a 0.25% interest rate discount when you set up and maintain automatic monthly payments via a linked PNC checking account. The Home Equity Rapid Refinance is referred to as a “lower cost solution than a traditional fixed rate mortgage,” though they also say you can enjoy fixed payments for up to 30 years. It’s somewhat unclear what it actually is, though it sounds kind of like a cash out refinance with limited closing costs. One twist is it seems to be a home equity loan that is in the first position (not subordinate), an important detail if you were to get foreclosed upon. Anyway, a home appraisal fee isn’t required in many cases, and they allow LTVs as high as 84.9% with no private mortgage insurance. It sounds like a weird take on a home equity loan. Speaking of interest rates, let’s talk about the rates at PNC Mortgage. First off, kudos to them for advertising their mortgage rates. 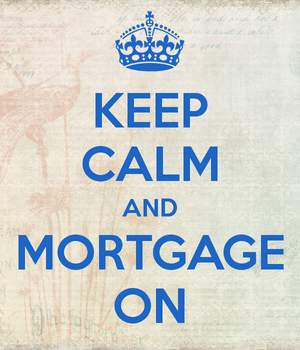 Not all mortgage companies do. My first impression – they’re quite competitive, but as always, we have to consider the assumptions they make. And they make some pretty big ones. For conforming loan amounts, they assume you’re putting down 20% of the home purchase price, or that you have 20% equity in your home. Plenty of homeowners put down less when buying and/or have less equity. They also expect you to have excellent credit, defined as a 740-credit score, and presume the property is a one-unit single-family home. When it comes to jumbo loans, they make the same assumptions but base pricing on a 30% down payment, or 70% LTV. While this isn’t uncommon (most lenders do this), you do have to pay attention to the assumptions to ensure you aren’t disappointed when you receive your actual rate quote. Also take note of the lock period, which might be 30 or 60 days. If you accept a lower lock period you might be able to obtain an even lower mortgage rate. To be honest, they don’t provide many reasons to use them other than the relationship discount on their home equity offerings and perhaps their competitive interest rates, along with a free biweekly mortgage payment service. Maybe PNC can offer lower mortgage rates than the competition, which is certainly enough to choose them over another lender, but there doesn’t seem to be much else to talk about here. PNC Mortgage doesn’t appear to have any special technology like the other major players, such as Rocket Mortgage from Quicken, or the new digital offerings provided by the likes of Bank of America and Chase. They have their “Home Insight Planner,” which features some mortgage calculators and lets you generate home affordability scenarios, but it seems a bit clunky and not all that revolutionary. It doesn’t seem to be linked to a digital loan application, and there’s no mention of a smartphone app, something that is becoming standard in the industry. Additionally, the majority of their loan products are run-of-the-mill options you can obtain just about anywhere else. The exception might be their Home Equity Rapid Refinance, though as noted, it’s not clear what exactly it is, and it doesn’t sound like a game changer at that. They do service a lot of mortgages, so it’s possible you might actually be making your mortgage payments out to PNC if you get your home loan with them. This can be a plus if you’re sick of your mortgage loan being sold and transferred over and over. But until PNC Mortgage does more to separate themselves from the crowd, they likely won’t attract many clients outside their existing customer base, especially as more disruptors emerge to shake up the scene.